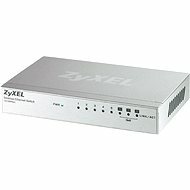 The TL-SF1008D Fast Ethernet switch is designed for small offices or workgroups. All 8 ports support the Auto MDI / MDIX feature, so you do not have to worry about the type of cable you need - just plug in and use it. In addition, with innovative energy-saving technology, the TL-SF1008D can reduce power consumption by as much as 70%. All of this makes it an ecological solution for your business network. 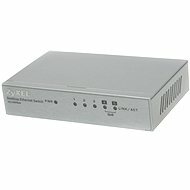 The TL-SF1008D Fast Ethernet switch is designed for small offices or workgroups. All 8 ports support the Auto MDI/MDIX feature, so you do not have to worry about the type of cable you need - just plug in and use it. In addition, with innovative energy-saving technology, the TL-SF1008D can reduce power consumption by as much as 70%. All of this makes it an ecological solution for your business network. The automatic functions ensure a plug-and-play installation of this switch. It does not require any configuration. Auto MDI/MDIX eliminates the need for crossed cables. The auto negotiation feature on each port captures the network connection speed (10, 100Mb/s) and intelligently adapts it to compatibility and optimum performance. 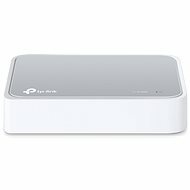 For shipping to other EU countries visit this page TP-LINK TL-SF1008D. 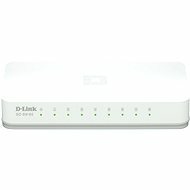 Für Versand nach Deutschland, besuchen Sie bitte TP-LINK TL-SF1008D. Chcete doručit zboží do Česka? 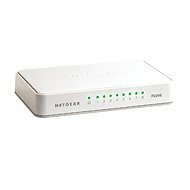 Prohlédněte si TP-LINK TL-SF1008D. Chcete doručiť tovar na Slovensko? 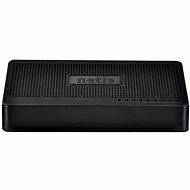 Prezrite si TP-LINK TL-SF1008D. Für Versand nach Österreich, besuchen Sie bitte TP-LINK TL-SF1008D. Magyarországra történő kiszállításért tekintse meg ezt a termékoldalt: TP-LINK TL-SF1008D.